Pure essential oils have a wide range of therapeutic benefits. The method applied can effect the results you receive. Please remember that almost no essential oil should be applied neat (undiluted) to the skin. The most popular or common way that the oils are usually administered, in the USA at least, is through an Aromatherapy Massage. Blend your chosen blend or single oil into your choice of carrier. You don't need to be a trained massage therapist. Warm hands and a gentle touch may not produce the deep muscle results that a trained Licensed Massage Therapist can produce, but long sweeping strokes can relax tensions and relieve anxiety. There are many introductory massage books on the market today, and some may be ordered from our online bookstore. Massage, however, is only one method of receiving the healing gifts of Aromatherapy. Please bear in mind that from a scientific standpoint, the path the oils take to effect our bodies is through the olfactory system. It is by inhaling the aromatic chemicals that comprise these natural oils that they effect our central nervous system, and cross the "blood-brain" barrier. The issue of whether the oils are absorbed through the skin is often hotly contested. Traditionally, aromatherapists have believed and taught that the oils did enter the skin during massage, but modern testing indicates that this may well be wrong. Other methods of delivery that allow you to inhale the volatile aromatics may be at least as effective. The choice of delivery method often depends on the intended goal. General Relaxation (including colds, flu, aching muscles), and in the Home. For skin care, part of a deep cleansing routine: 5 or 6 drops in a pint of warm water or in a facial steamer. Add 3 to 5 drops to your favorite homemade masque recipe. Use up to 15 drops of Essential Oil in your chosen carrier oil, or unscented cream or lotion. To stimulate the skin and the lymphatic system all over the body, use a natural bristle bath brush. Add two or three drops of a stimulating essential oil (rosemary or pink grapefruit are good choices if not contraindicated) to the bristles and brush your skin. Work from the toes up to the heart, from the fingers to the heart; always work from the extremities toward the heart. Brush lightly but cover your whole body. This is effective either before or after your morning shower. Omit the face and neck from this process. 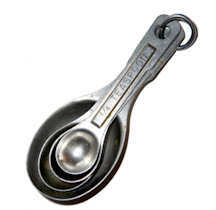 Add 5 to 7 drops to a bowl of steaming hot water, put a 'towel tent' over the head to capture the steam. Close your eyes and inhale until water cools or until you stop smelling the oil. Repeat, if necessary, every four or five hours. Use a nebulizing diffuser that will break the oil into millions of micro-particles. In case of illness, inhale near the "mouth" of the nebulizer. Only four or five minutes worth should be sufficient, repeat every few hours. (cool mist). Add from 3 to 9 drops of your chosen Essential Oil to the water of the humidifier. Run overnight, or add the essential oils two or three times a day, if running continuously. Please note, the essential oils can conceivably damage a humidifier. I've never had this happen, but it is a slight risk. This is an effective method if using the essential oils with a sick child, since there is not risk of danger from hot water, etc. from 5 to 10 drops in a tub of warm water. Fill tub, add oils, swish to disperse in the water. you might try adding the oils to a spoonful of honey, a small cup of milk or cream, or to your favorite carrier oil, and then adding to the water. Excellent for topical application to ease pain, from strained muscles, menstrual cramps, etc. Add 4 to 7 drops of Essential Oil to a bowl of warm water. Swish the surface of the water with a cloth, wring out, apply to area, repeat when cloth cools. You may cover the warm cloth with a sheet of plastic and a towel to keep the warmth in longer. This is an excellent method for treating painful menstrual cramps. The amount of Essential Oil used depends on the purpose of the spritzer. Best and easiest to first dissolve the essential oils in two or three times their quantity of our Polysorbate 20 or in the same quantity of either high proof vodka or grain alcohol. 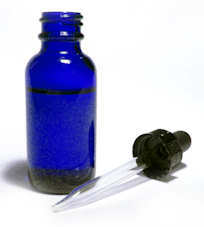 Having predissolved the essential oil in your diluent or solublizer, then add distilled water to fill the bottle. Shake well, spray. May be used as facial toner, to moisten a body wrap or as an all over freshener, or as a room spray. Add three drops of essential oil per person. This may be repeated every 30 minutes. Be aware that some sources warn that the oils may do damage to plastic plumbing. After a shower, apply 5 to 7 drops to a damp wash cloth. Rub briskly all over the body. Preferably allow to air dry. Use a blend of Epsom Salts (good for sore, aching muscles), Sea Salt, and Baking Soda. Add 6 to 10 drops of your chose oil blend. Either add to warm bath, or use as a 'salt glow' rub before the bath. Adding a spoonful of your favorite carrier oil to the salt glow leaves your skin feeling soft and silky, but makes the tub harder to clean. 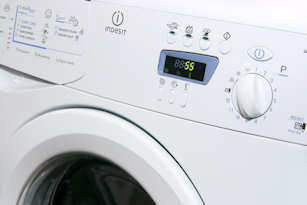 Essential Oils may be added to the washing machine, or a few drops put on a cotton cloth and added to the dryer. If using in the washer, the warnings above about possible damage to plastic or hard rubber parts would apply. Research indicates that adding Eucalyptus Globulous to the washing machine MAY kill dust mites in bedding. To really preserve the scent of Essential Oils used in the dryer, add them and run on a 'no heat' cycle for a few minutes at the end of the drying cycle. Use Lemon or Grapefruit Essential Oil, possibly with a touch of Tea Tree oil added, in the water you clean with. Wipe down kitchen counters and your bathroom with these cleansing, germicidal oils. I find that Lemon Oil in water does a wonderful job cleaning the bathroom mirror, as well as all the fixtures. 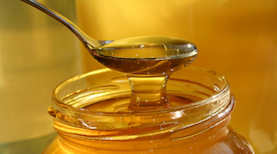 Either add a drop or two of a citrus, spice, or floral Essential Oil to a cup of honey, mix well and let stand. OR put a couple of drops of the same Essential Oil on a scrap of paper towel, lay on top of a jar of sugar, seal tightly and let stand for a week. Add the flavour of the fresh plant to sugar for tea, baking, etc.